Somalia’s trade union movement secured a major victory at the just-concluded 107th session of the International Labour Conference of the UN labour agency, the International Labour Organisation (ILO). Credentials of certain individuals as worker representatives were invalidated and leaders of FESTU were awarded the rightful accreditation to the conference as officials of the workers delegation of Somalia to the ILO conference. This ended a four-year battle to secure genuine union representation at the ILO’s tripartite decision-making body. 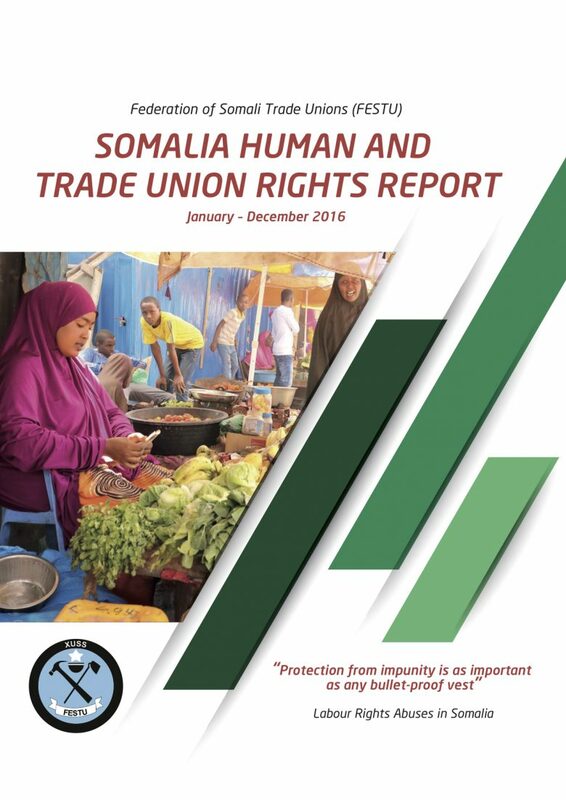 Under the sponsorship of the International Trade Union Confederation (ITUC), a delegation from the Federation of Somali Trade Unions (FESTU) took the issue to the ILO conference. The ITUC filed a strongly worded objection against the accreditation presented by the Somali government with regard to trade union representatives, stating that the Somali government “failed to comply with article 3(1) and (5) of the ILO Constitution” and did not “consult the legitimate, independent and most representative national trade union organization, the Federation of Somali Trade Unions (FESTU), for the purposes of nominating the Workers’ delegation to the present session of the Conference”. The ITUC argued that individuals accredited by the Somali government “were not genuine trade unionists and, therefore, the nomination of the Workers’ delegation had not been made in accordance with the ILO Constitution” and asked the ILO Credential Committee to take appropriate action on constitutional violations committed by a member State. In accordance with article 5(2)(a) of the Standing Orders of the ILO Conference, the ILO Credentials Committee had written the government and asked meticulous questions on the names of representative workers organisations in the country together with documentation, whether the workers organisation, FESTU was consulted with the composition of workers delegation, and the government was given until 1 June 2018 to respond. Severe adjustment measures took place on 2 June 2018, where individuals claiming to be trade union officials had their credentials invalidated by the ILO and FESTU leaders were given their rightful space as official workers reps of Somalia. “In the rule-based international system, it is wrong to abuse the international rule of law and get away with it. The decisions to invalidate credentials of individuals who are fake union reps and removing them from the conference is a significant and remarkable stroke that is not only a severe blow to imposters but also a huge discomfiture to anyone who has given such fake individuals any credence” said Omar Faruk Osman, FESTU General Secretary. 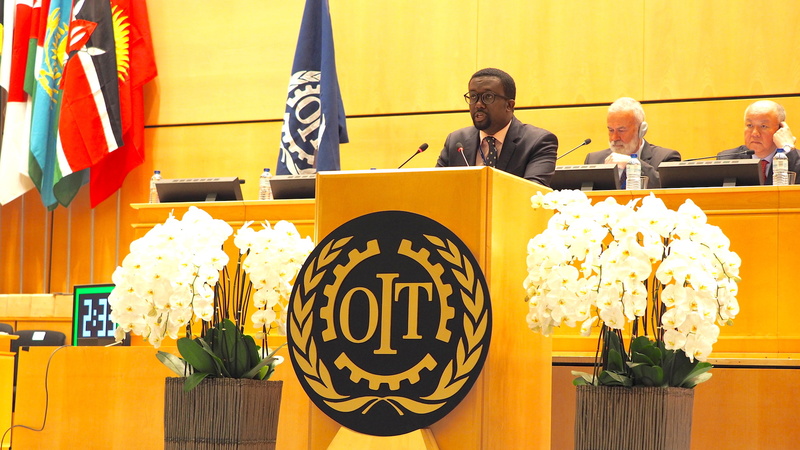 On 5 June 2018, the General Secretary of FESTU Omar Faruk Osman addressed the 107th session of the conference on behalf of the workers delegation from Somalia, and made strong arguments for the challenges of decent work deficits is impacting Somalia’s development, supported the adoption of ILO new legal convention sexual harassment against women and men at the workplace and presented Somalia’s compliance of international Labour Standards. FESTU appreciates the constructive discussions its delegation had with the government delegation at the conference which led Somalia to be taken out from the list of the countries placed by the ILO credentials committee for monitoring, and on the basis of memorandum signed by both sides, the ILO credentials committee spared the government from any negative action. 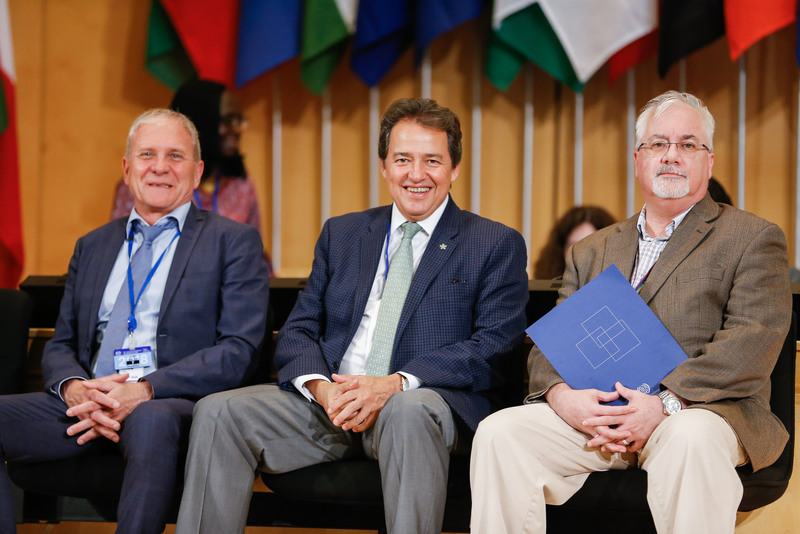 Composed of three members from New Zealand, Denmark and Mexico, the ILO Credential Committee was also furnished with a copy of the Memorandum of Understanding between the Ministry of Labor and Social Affairs and FESTU on Tripartite Participation of International Labour Conferences, dated 30 May 2018. The ILO “urges the Government to complete the steps set out in the Memorandum of Understanding”. 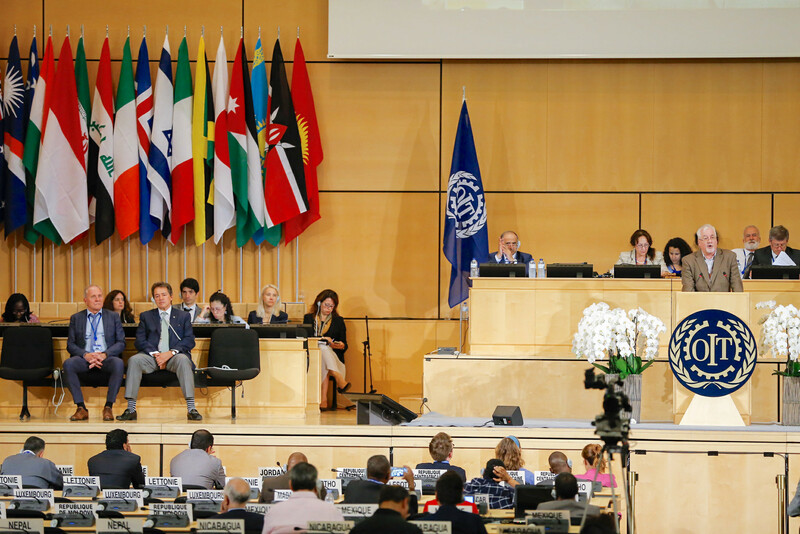 At its 106th Session (2017), the Conference decided, by virtue of article 26 and 26bis(7) of the ILO Conference Standing Orders, and upon the unanimous recommendation of the Credentials Committee, to place Somalia under the monitoring due to the situation raised in an objection concerning the nomination of the Workers’ delegation.